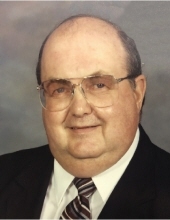 Reverend Robert Allen Underwood, 78, of Olive Hill, passed away Thursday morning, December 6, 2018, at St. Claire Regional Medical Center in Morehead. He was born October 6, 1940, in Fayette County, a son of the late Curtis and Jessie Boggs Underwood. Mr. Underwood was an ordained minister for over 40 years and a member of the Garvin Ridge Wesleyan Church. He enjoyed going to church, preaching Gods word and telling others about Jesus Christ. Allen had a great sense of humor to all who knew him and loved spending time with his children and grandchildren. In addition to his parents, he was preceded in death by his wife of 52 years, Barbara Sue Davis Underwood; one brother, Charles C. Underwood; and one sister, Velda F. Mattingly. Mr. Underwood is survived by two sons, Darrel Lee Underwood of Florence, and Marshall Dean Underwood (Sheila Ann) of Cincinnati, Ohio; one daughter, Debra Allen Spalink (Stu) of Danville, five grandchildren; three great grandchildren; and one sister, Patsy E. Curry of Richmond. He also leaves many other church members, family members and friends who will sadly morn his passing. Services will be held at 10 a.m. Tuesday, December 11, 2018 at the Garvin Ridge Wesleyan Church in Olive Hill, with Brother Steven Tabor and Pastor J.C. Bond officiating. Burial will follow in the Evergreen Memory Garden in Paris, Kentucky. Friends may visit from 6 p.m. to 8 p.m. Monday, December 10, 2018, and after 9 a.m. Tuesday at the Garvin Ridge Wesleyan Church in Olive Hill. Pallbearers will be Darrell Underwood, Marshall Underwood, Debra Spalink, Casey Underwood, Curtis Underwood and Patrick Spalink. Globe Family Funeral Chapel in Olive hill is caring for all arrangements. Condolences may be sent to the family at http://www.globefc.com.